This new whisky is the first permanent addition to their core single malt range of Balvenie for almost five years. 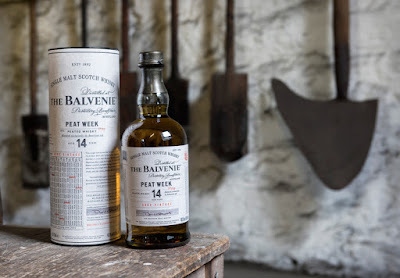 The Balvenie Peat Week 14 years old is a peated expression and is the result of trials undertaken at the turn of the century by David Stewart MBE, Balvenie's legendary Malt Master, and Ian Millar, the former Distillery Manager at Balvenie. 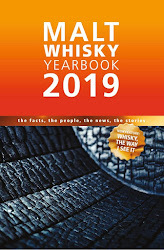 At that time, not many Speyside distilleries were producing peated malt whisky and ever since Balvenie have dedicated one week per year to it. 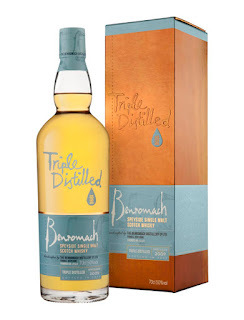 This is an innovative new whisky from the small Speyside distillery of Benromach. Most whisky in Scotland is normally distilled just twice and this is the first triple distilled spirit released by Benromach. The spirit used to create this whisky was distilled once through a wash still and twice through a spirit still, and all used for this first batch was distilled in 2009. This has been matured in first fill ex-bourbon barrels and then bottled at 50% ABV. 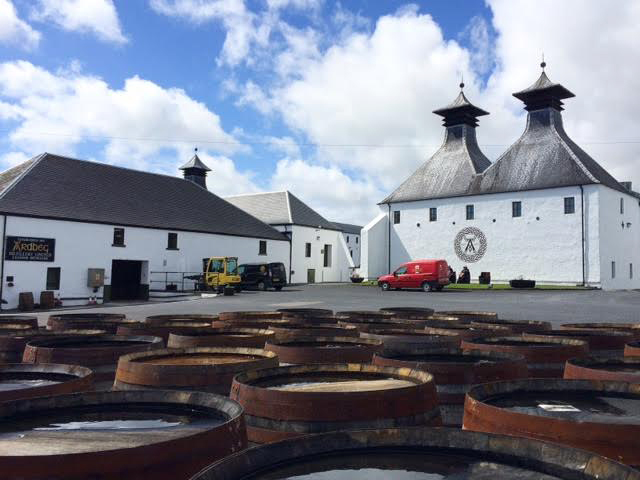 There will be just 7,800 bottles of Benromach Triple Distilled. They will be available via selected specialist retailers in Europe and the UK with a recommended price of £45 each. 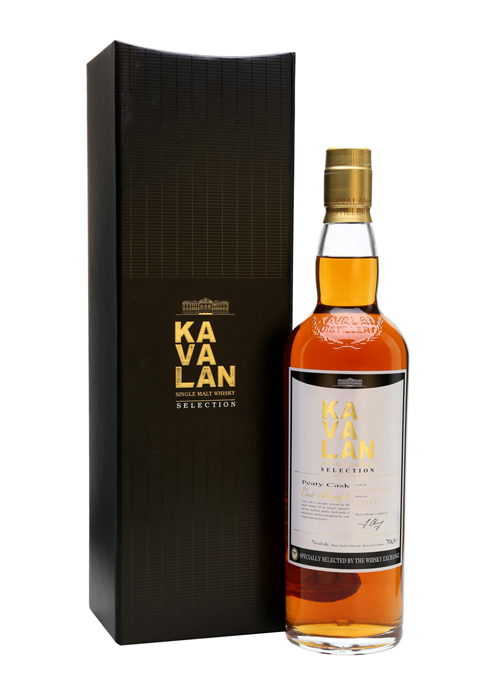 This peaty version from the Taiwanese distillery of Kavalan has been bottled especially for UK specialist retailer The Whisky Exchange. It was previously only available at the distillery but a few single casks were made available to whisky retailers around the world. With no natural peat in Taiwan, the flavour has been created by maturing in casks that have previously held smoky Islay single malts. Cask #029 for The Whisky Exchange has yielded just 104 bottles. 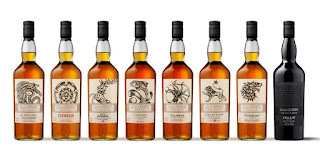 Each has a natural cask strength of 52.4% ABV and costs £150. It is available to purchase here via the TWE website or at their London store in Covent Garden. Exotic Cargo is a new whisky from The Scotch Malt Whisky Society and is the first ever blended malt that they have released. 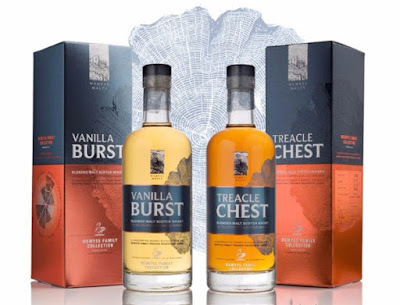 The new whisky continues the expansion of their core range of products which has recently added American whiskey, Cognac, gin and rum to the portfolio. 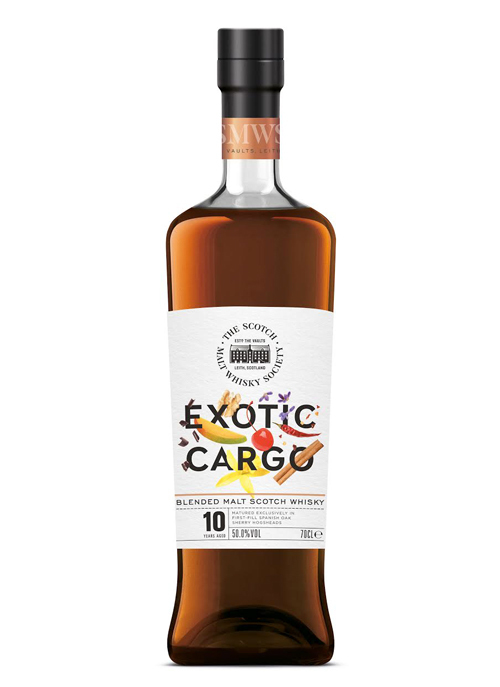 Exotic Cargo has been created using whiskies all distilled on the same day in 2006 and all have been matured in ex-sherry hogshead casks. It has been bottled at 10 years of age and at a strength of 50% ABV. 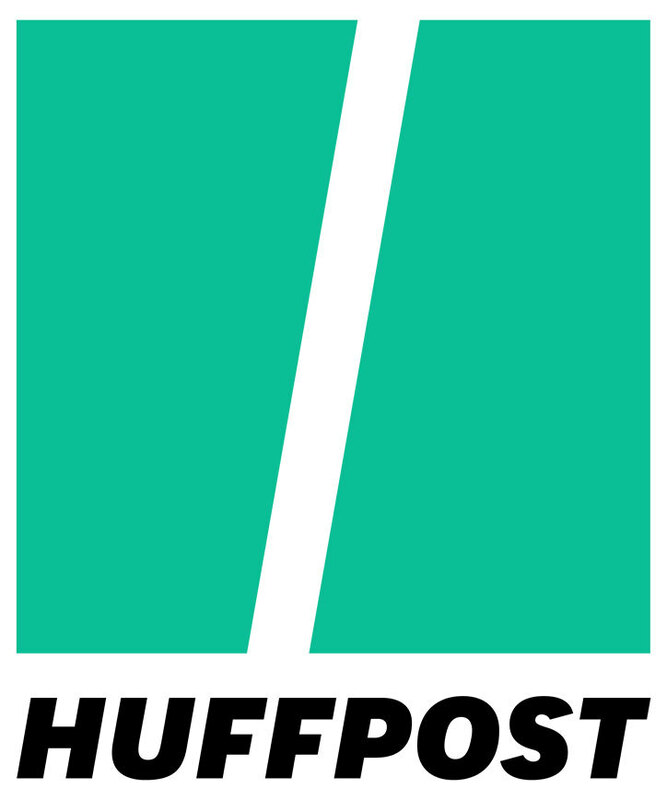 It is also non chill-filtered and of natural colour. There are just 1,937 bottles available and each will cost £45. The Wemyss family have released these two new whiskies as the first in a new series called The Family Collection. The collection has been crafted from whiskies held within the Wemyss family's own private portfolio of casks. These first two releases - entitled Treacle Chest and Vanilla Burst - represent two differing styles of whisky, one has been matured in ex-Sherry casks and the other in ex-bourbon casks. The names refer to the expected flavour characteristics from each cask type. The Special Releases are an annual selection of bottlings from Diageo, Scotland's largest producer of single malt whisky. The series first appeared in 2001 and has grown to be eagerly anticipated by whisky fans, consumers and collectors around the world. The Special Releases are designed to showcase some of the best whisky, both single malt and single grain, held within Diageo's extensive portfolio of maturing stocks. 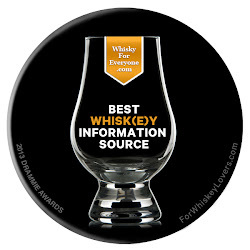 This includes distilleries that are currently in operation and those that have sadly closed. We were delighted to again be invited to a special preview event in London a couple of weeks ago. Here we got to sample each of this year's ten Special Releases bottlings in the company of Dr. Nick Morgan, Head of Whisky Outreach at Diageo, and Maureen Robinson, one of Diageo's Senior Whisky Blenders and a major influencer of the Special Releases programme. 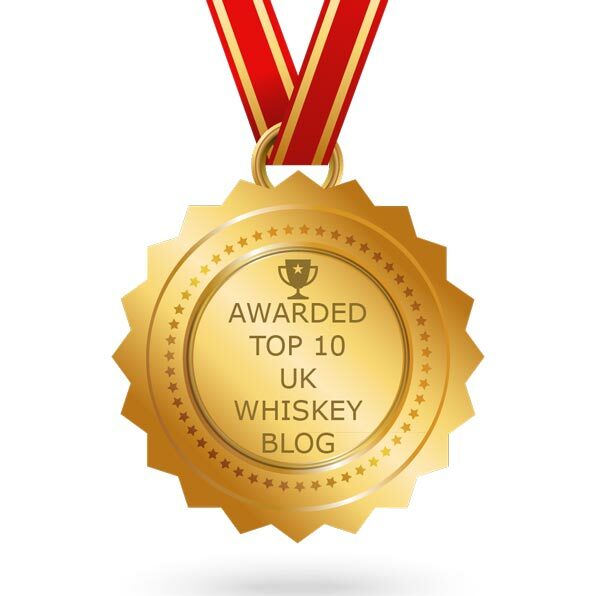 Here is the information for each whisky and our tasting notes. 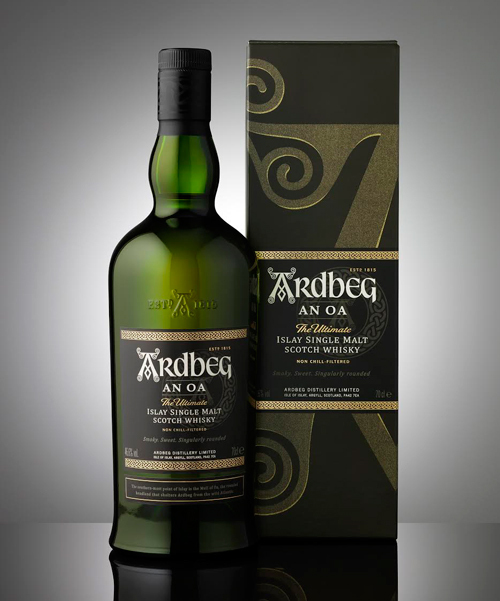 The An Oa (pronounced an-oh) is the first permanent addition to the core single malt range of Ardbeg for almost a decade. It is named after the Mull of Oa, the southernmost point on Ardbeg's home island of Islay. The whisky is the brainchild of Dr. Bill Lumsden – the Director of Distilling, Whisky Creation & Whisky Stocks for Ardbeg's owners Moet Hennessy. Ardbeg An Oa is a combination of ex-bourbon barrels, ex-Pedro Ximenez sherry casks and virgin oak casks. These have been married in a large French oak vat housed in The Gathering Room, a new feature at the Ardbeg distillery. The Kingsman Edition 1991 Vintage is a special limited edition single malt from the east Highland distillery of Glendronach. The new whisky is a collaboration between Rachel Barrie, the Whisky Maker at Glendronach, Marv Films and 20th Century Fox to mark the release of the movie Kingsman : The Golden Circle. 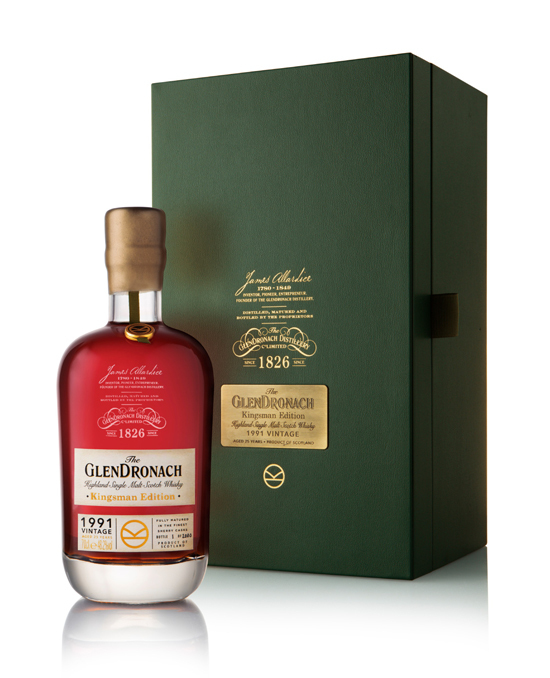 Glendronach was selected by director Matthew Vaughn as it is his favourite single malt. The whisky is constructed of just four ex-sherry casks, all of which were filled in 1991 (this is the year of birth of the movie’s lead character, Gary ‘Eggsy’ Unwin).